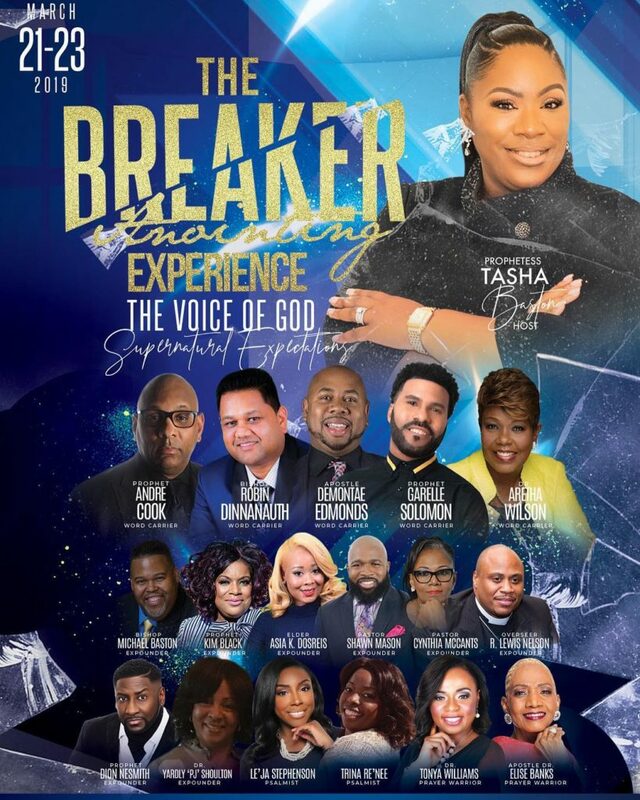 Join us for THE BREAKER ANOINTING EXPERIENCE 2019 “The Voice of God- Supernatural Expectations”! March 21st – 23rd, 2019 ~ Registration Benefits include: 3 Meals, Wordshops, All Services and Much more $249. Hotel is $142 per night.